It took 10 years but yesterday Morocco launched Africa’s first high speed train (Boraq). It’s a big day for Morocco and a great moment for all who believe that big dreams can be achieved with a combination of vision and consistent execution. Africa should celebrate that it has beaten other continents on realizing this and work towards connecting all its major capitals by train in the future. The train will halve travel times between Morocco’s economic hubs that within less than 10 years carved out a significant global position in the car and aeronautics industries. Building on the launch of Renault’s factory in Tanger in 2011, Morocco developed a full fledged car industry that rivals established players like Turkey and may one day produce more cars than Italy. The Renault factory was a true catalyst for many suppliers and car parts producers to launch new factories in three local industrial hubs (Casablanca, Kenitra and Tanger). Today these hubs are producing 400 thousand cars and aim to produce over 1 million cars in the coming years. This did not happen by accident and Morocco’s leadership deserves all accolades for this achievement. Among others the long term vision of Morocco’s King, an uber-performing Minister of Industry and consistent government support have proven to be ingredients for growth. Big dreams can be achieved within 10 years and there is no reason why other African countries will not be able to replicate this in the coming years. It is easy to be cynical about such achievements but investments in infrastructure have proven in many regions one of the critical and best building blocks for development. China and other Asian nations are true champions in this area but closer to home Ethiopia is another example of infrastructure led growth. When the the new Addis international airport terminal opened in 2003, many were sceptical but Ethiopian Airlines was able to move from one of the smaller African airlines to the first spot leaving the likes of South African Airlines far behind. Infrastructure is not a magic solution to Africa's high levels of poverty or inequality but it is an important start of a difficult journey. This project would not have been able to see daylight without the support and commitment of France. Europe's and France's relationship with Africa is to say the least complicated but pragmatic partnerships are both possible and necessary for both continents. 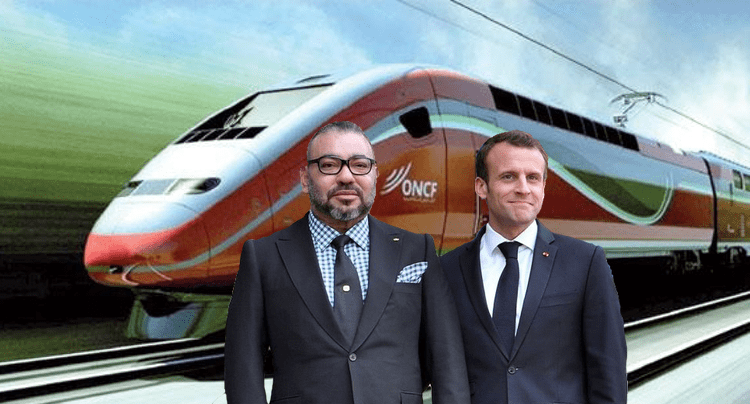 The high speed trains are partly financed by France, the trains are built in France and French industrial companies based in Morocco are big beneficiaries of the newly established rail link. Europe and Africa are neighbours and natural partners. It is a pity that most interaction between the two continents today is focused on immigration but historically the economic relationship has always been significant. Morocco and France are probably the best example of a true African/European partnership model and it is time for all African/European nations to move beyond the politics and replicate such an approach. The economic dividends for both continents can be significant as shown today by Morocco and France. Both have been able to establish many win/wins across different sectors that benefit both nations. China would not have been able to transform its economy without its partnership with Japan. A lot is written on the US/China relationship but the China/Japan partnership is the one that needs to be studied more by African policy makers. Africa’s relationship with China is important but more can be achieved by replicating the China/Japan axis and making Africa the natural “China” of Europe. WHAT WILL US HIGHER INTEREST RATES MEAN FOR FRONTIER MARKETS? WHAT IS HAPPENING IN PAKISTAN?